Could there be a better cut flower than narcissus? There are so many reasons to love this flower. They are deer resistant, largely pest-free, dead easy to grow and never need dividing. The flowers (of which there are endless varieties) can be cut and stored well in advance of them blooming in the field, and they have a great vase life. 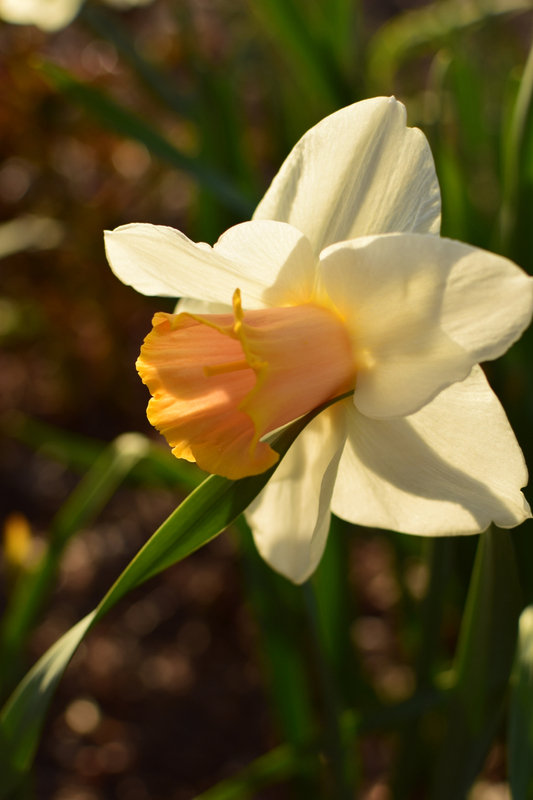 All that said, here are 3 tips to help ensure you get the most out of your narcissus in the garden and in the studio. don’t cut the foliage. If you want a good showing next year, leave all the foliage (in other words, just cut the stem with the bloom on it). This foliage will absorb the energy of the sun, feeding the bulbs for the following growing season. if you have empty pockets in your garden, fill them with narcissus. This is a great way to maximize space. 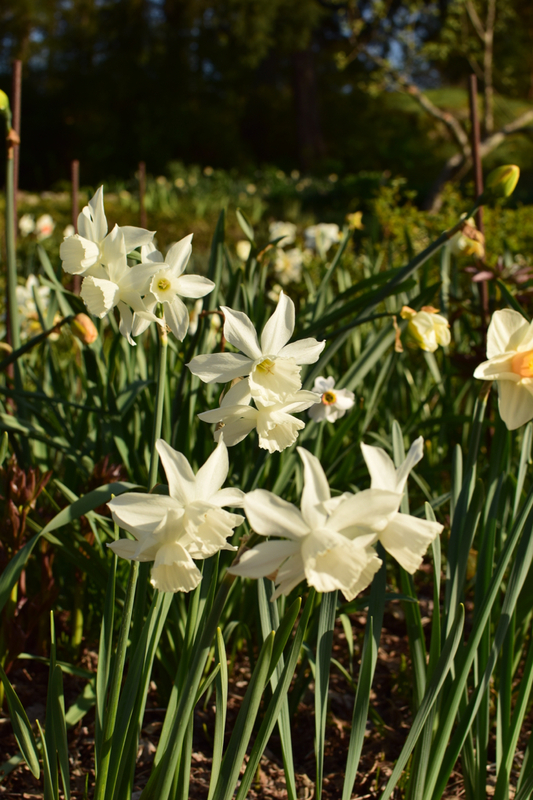 Narcissus work well interplanted amongst other perennials (think peonies, roses, hydrangea). The only key here is that you need to ensure that there’s adequate drainage in your beds - another reason why I love narcissus is that the bulbs can withstand moisture in the garden while the bulbs are dormant (late summer/fall) but only if the water isn’t pooling. store separately. When harvesting your flowers, you’ll notice that the stems weep a viscous fluid. This can be toxic to other flowers. Just store your cuts overnight in a shallow bucket of water to let them drain. After that, they can be safely arranged with other flowers.